Is there hope for Palm fans? When HP bought Palm for a cool $1.2 billion last year, Palm fans rejoiced that their smartphone manufacturer of choice had been saved from certain doom. However, speaking at the Bank of America Merrill Lynch technology conference, HP CEO Mark Hurd told attendees that the company "didn't buy Palm to be in the smartphone business." As hearts broke, Hurd hammered the point home. He said, HP aren't going to "spend billions of dollars trying to go into the smartphone business; that doesn't in any way make any sense." WebOS was worth $1.2 billion? 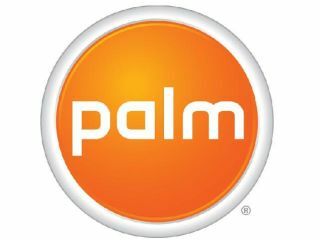 HP was more interested in Palm's intellectual property, specifically the WebOS operating system found on Palm handsets. The company hopes to transpose WebOS to its host of small web-connected appliances. Hurt explained, "We have tens of millions of HP small form factor web-connected devices…Now imagine that being a web-connected environment where now you can get a common look and feel and a common set of services laid against that environment. That is a very value proposition." "When we look at the market, we see an array of interconnected devices, including tablets, printers, and of course, smartphones. "We believe WebOS can become the backbone for many of HP's small form factor devices, and we expect to expand webOS's footprint beyond just the smartphone market, all while leveraging our financial strength, scale, and global reach to grow in smartphones." While all hope for future Palm handsets is not lost, it's pretty clear where HP's focus lies.